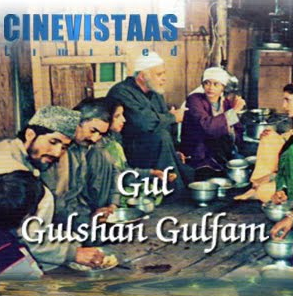 Episode #12 of Hindi TV Serial Gul Gulshan Gulfam takes us ahead in the same emotional segment we witnessed in Episode #11. At one end Haji Khalik and his wife are very happy that his grandson Nisaar (aka Nisar or Nissar) became a doctor; on the other hand they are emotionally feeling unwell also, as Nisaar had to live at a different place in order to run a clinic. Being a very emotional and responsible head of family Haji and his wife believe in the unity of the family and understand the importance of togetherness. But they are also open minded and want to be as supportive as possible for the future generation to move ahead. Noor (Nisaar’s father) and his wife also didn’t like the idea of living separately but at the end they had to agree with the thoughtful decision of Haji. The first scene tells Haji’s feelings without much dialogs, mostly through expressions and his tone while answering the questions of Razak. The actor playing Razak is not convincing (especially in dialog delivery) as the matter of fact. It is followed by the scene where everyone bids adieu to Nisaar. It shows them putting luggage in a small ferry boat (Shikara) and then approaching it to leave the home. The scene is filmed nicely. The conversation between Haji and his wife is taken from any real life aged couple who is trying to settle down a lot of things at family and social front. As they got a summon from the to-be-in-laws of her daughter to arrange the marriage at earliest; they need to arrange some money also. Radha Seth and Parikshit Sahni both lives the scene. They are excellent from all aspects. It is followed by approach of Haji’s youngest son to offer some economic help in this tough time. Now we know Haji’s character and his attributes very well, so we know what would be his response. This scene with Pankaj Berry is better to watch then to discuss. The internal battle is underplayed by Parikshit Sahni and Radha Seth well here. And Pankaj is good at outburst, making it look very convincing. Through dialogs we also got know that the time is not good for tourism and houseboats are not seeing floods of visitor these days. The father-daughter conversation have good dialogs which are suitable to the situation. Parveen loves Razak as we know but cannot tell it to Haji or even her mother. Same for Razak, he buried under so many favors of Haji and his family and he cannot tell a thing which can create a problem in the home. Through the dialogs of Nisaar we got to see the modern thoughts are started approaching by the new generation. We see that the to-be-in-laws of Parveen approaches them and there is a small important function going on there. Parveen and Razak were in different emotional zones, which only they know about. The rest of the episode explores the emotional quotient of the feelings of the lovers for each other and their family. The cinematography is excellent. The locales are filmed so well. All the traditional stuff is taken care and looks realistic. The wardrobe is authentic. There are some below average acts of course, but some excellent acting takes over and make it worth watching. The background music is perfect. We already wrote about dialogs and script, so not repeating it. Overall an episode exploring rather inner emotional areas of the principal characters in the backdrop of social events. Those who like to explore the real situations and emotional world, will like it. Others may feel it a little heavy and little slow episode. But it is definitely worth to go for.